Children in Year 3 have been enjoying exciting climbing sessions at Morecambe Community High School. The MCHS outdoor education teachers reported that many of the children showed a real aptitude for climbing. On Wednesday a group of non-club swimmers joined competitors from other schools at a Gala held in Heysham Pool. Mr Gittins and Mr Dixon report that the gala was a great success with a good number of our team representing the school for the first time. We finished 3rd overall but, more importantly, lots of children from across the district had a great time. Thanks to Mr Fletcher and to The Bay Leadership Academy for hosting the event. On Thursday morning, children from Class 3 enjoyed their fun swim at Carnforth Pool. It’s great to be able to offer swimming sessions to all children in school. As the Bulletin is published, our indoor athletics ‘A’ team will be concluding the latest round of fixtures at L&M College. We know they’ll have done their very best. Next Friday, it’ll be the turn of the ‘B’ team to compete against other schools at the College. This afternoon, our friends from M&M presented “Sleeping Beauty” to the whole school. It’s good to give the children the experience of live theatre and M and M always give us a great show. Our excellent, pro-active School Council made a presentation to the whole school this morning; their focus was Eco-bricks. Eco-bricks are a fantastic way of taking single use plastics (and some other materials), stuffing them into single-use plastic bottles to create strong building blocks. Eco-bricks are being used across the world to make sculptures, planters, small buildings and even houses. This is a fantastic way to reduce waste and re-use materials that would previously gone to landfill. 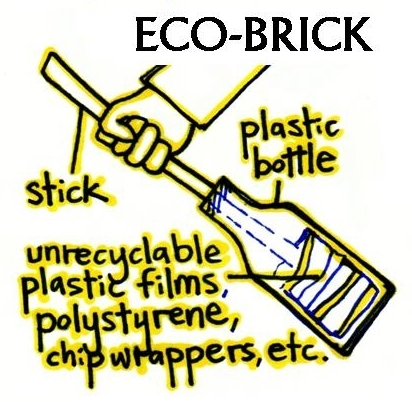 The School Council are hoping that our school community can make hundreds of Eco-bricks and they would like us to start making them now. When a good supply has been collected, the Council will work with staff members to create something for school. This is a fabulous initiative and we hope that you all will be able to take part. For further information about Eco-bricks, please click here. The next FOBLES Family Quiz will be held at The Lodge on Wednesday 30 January, beginning at 5.00pm. The cost is £2.00 per competitor to include the quiz and a chip butty! These are popular events that offer fun family time and raise money for the FOBLES too. See you there! The Lancashire Life Education Centre will arrive in school next Thursday. All the children will be offered age-appropriate lessons focusing on staying safe and healthy. Miss Todd’s class will be presenting a special assembly to family members next Friday afternoon beginning at 2.45pm. The hall doors will be open from 2.30pm. The bottom gate will be open. If you are intending to come along in a car, PLEASE park well away from school and walk up. Thank you. The latest Cake Sale will be held after school next Friday. Thanks in advance to Class 8 for the goodies.